DELPHOS — The Do Right Motorcycle Club will hold its annual Christmas Benefit from 5-10 p.m. Saturday at the Delphos Eagles, 1600 E. Fifth St. Kids are free and adults pay $5 or $5 worth of non-perishable food items. 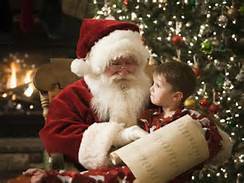 Santa will see children from 5-7 p.m. There will also be children’s crafts and games. Adults only after 7 p.m.
Live music will be provided by Killer Haze. A 50/50 drawing and other raffles will be held. Food and beverages will be available from the Eagles. Partial proceeds will benefit the Delphos Community Christmas Project, St. Vincent de Paul and the Veterans Food Pantry of Northwest Ohio.